Nearly one in three American homes participate in some type of family caregiving – with individuals providing much needed care to senior parents or a disabled loved one. However, family caregivers typically take on these roles as the needs arise, with little to no formal training…Learning as they go. In fact, some studies show that nearly 89% of all medical care in the United States takes place at home with the help of a family caregiver. However, many caregivers worry if they are successfully meeting the needs of their loved ones. Planning for successful caregiving can be one tool for family caregivers to use in their journey to feel like they’re doing the best they possibly can to provide positive, effective care. So how can you plan for successful care? Evaluate Needs: Look at the care required by your loved one now, and in the forseeable future. Seniors simply suffering from the rigors of aging alone may require less progressive care than those battling dementia, for example. Planning for needs both now and in the long-term can ease concerns over a family caregiver’s ability to provide successful care. Enlist Help: After taking a hard look at a senior’s needs, evaluate your ability to provide adequate care for these needs. Are you comfortable providing toileting assistance, if needed? Does your work schedule allow you to assist with transportation to mid-day medical appointments? If you are unsure of your ability to adequately manage a care need, turn to an outside resource such as an in-home care company using a homecare software or homecare system to manage care.With tools like ClearCare Online’s homecare software and homecare system, in-home care agencies can help family caregivers manage the specific tasks they need help with at the desired times. 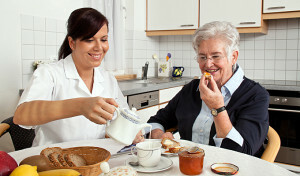 For example, a robust homecare software and homecare system allows shedulers to set up shifts on a daily recurring basis, once every two weeks, or on an on-call basis – allowing family caregivers to enlist help as they need it to make each unique caregiving situation successful. Use Resources: Aside from the help of a homecare agency using ClearCare Online homecare software and homecare system, reach out to local non-profits and caregiver organizations like the Family Caregiver Alliance to garner support from other caregivers, learn about conditions affecting your loved one and seek knowledge as you navigate your journey as a family caregiver. Whether you are a family caregiver who feels like they have it all together, or you feel a little lost along your caregiving path, proper planning for the near and long term, as well as the support of family, ,friends and a homecare agency using ClearCare Online’s homecare software, your journey can be a long term caregiving success.